The Fun Size Anti-Bottles are sold in packs of two. The .4 L Fun Size Anti-Bottle is smaller than the original .5 L Anti-Bottle, making it perfect to pack along in kid's lunch bags. The Blue/White Anti-Bottle is foldable for easy portability! When full it stands upright. You can roll, flatten and fold when empty. Vapur Anti-Bottles are reusable, durable, and safe. The water bottles are BPA-free and the inner liner is FDA-approved polyethylene. The Anti-Bottle 10110 is odor, taste and stain resistant. The Vapur Water Bottle is top-rack dishwasher safe or you can wash by hand. Air dry as needed. The Blue/White Anti-Bottle can be frozen to keep beverages cold. A carabiner is included to easily attach to any bag, purse or backpack. The Vapur sport bottle includes a writable area on the back for easy identification. 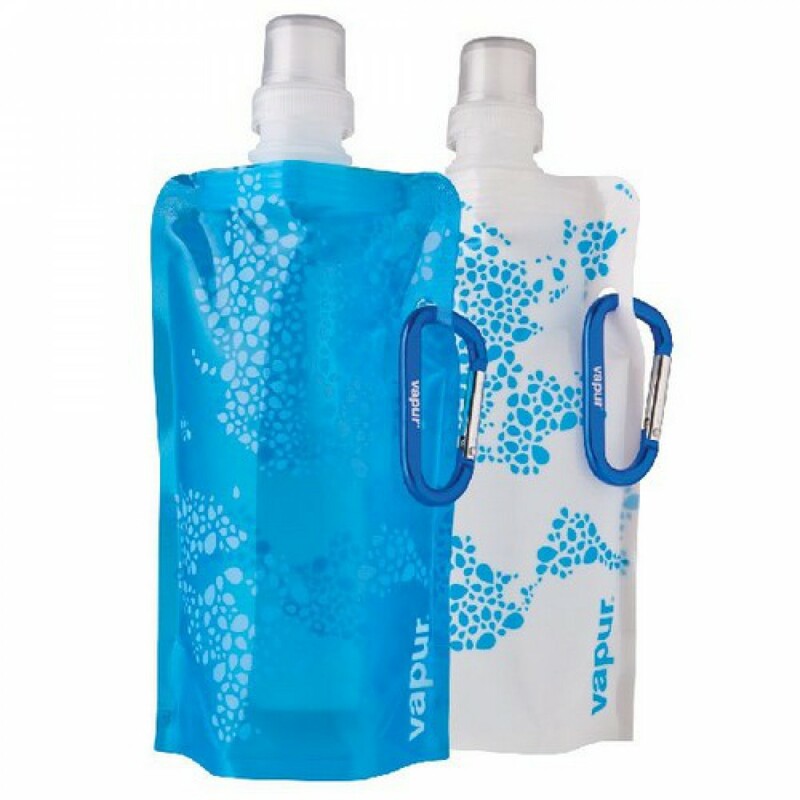 Vapur foldable water bottles are affordable. 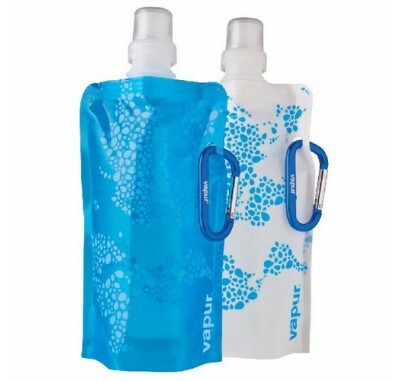 The Vapur Portable Water Bottles (excluding carabiner) are proudly Made in the USA. Some Vapur accessories, including the carabiners, are imported.